The Theory Of Evolution has captured everyone's attention. Whether a person has studied science or not, he gets interested in this subject because of the wide publicity given to it. If you are a person like this, I welcome you to this brief scientific discussion. If you have no background in science, you might wonder if you will be able to follow this write-up! Don't be discouraged. We have used the simplest possible language so that you may not have to struggle with science dictionaries. Further, in the course of this study, we do not assume any science background on your part. Consequently, even difficult ideas are explained in simple language. We consider this book as only a preparatory material. Once you cover this much ground, you can inquire for our more advanced material on Evolution. 1-For Christian Parents having school going children. This book will help them to answer their children objectively and authoritatively on Evolution/Creation. 2-Any person who has ever wondered about Evolution/Creation. 3-A persons who personally has no doubts on this subject, but who is called upon to help others facing doubts on this subject. every course needs to be restricted in length due to practical constraints. Consequently, we have chosen an introductory syllabus, yet we cover enough ground to help you make an informed decision on this subject. You must always remember two things. First, if a particular subject is not covered here, that is not because of our ignorance. Rather that is because of the limited length of this book. Second, if you are not satisfied by the ground covered in this introductory material, you can always move to the more advanced materials offered by Philip Communications. Please remember that most people getting material from Philip Communication have no background in science, and an introductory course is unavoidable for their sake. 3-The evolution of man and animals. For most people the name of Charles Darwin is synonymous with evolution. However, this is a wrong identification. The idea of evolution is several thousand years old. Man has always been speculating about origins and putting forward different hypotheses about all this. Many of them were no different from what they teach you in the name of modern science. Darwin proposed his version of the theory in the last century, but he was unable to advance any proofs in support. He, however, was confident that others will be able to discover such proofs. (Darwin's book THE ORIGIN OF SPECIES is available in many college libraries, and you can easily verify what has been said above). Even more than a century after his time, proofs are still missing. After Darwin many people modified his theory. Some even proposed newer theories. Today there are several mutually competing and conflicting theories, but no one tells this to the average student. The Meaning Of Evolution: It is time now to define our terms. A discussion on an important subject like evolution can get hopelessly bogged down if one does not define terms. The word evolution is used in general in four ways. First, some people use this word to refer to development. For example in statements about the "evolution of ideas" or "evolution of cars" people are talking about their development. Second, some people use this word to refer to change. For example, "the evolution of a tree from it's seed". Here evolution stands for change or growth. Third, some people use the word evolution to denote the changes within the same kind of creature. For example, one pair of dogs can give rise to a variety of dogs. This kind of change is seen everywhere, and it is often called micro-evolution. It must be remembered that micro-evolution produces changes only within one basic kind. The fourth, and most important usage is for denoting a large change from one kind to another. For the sake of clarity, this is often called Macro-Evolution or Mega-Evolution. Most of the times the prefixes Macro or Mega are dropped and people talk only of "Evolution". Their reference is to Mega-Evolution. In this course we will use all three terms (Macro Evolution, Mega Evolution, Evolution) inter changeably. Whenever we have to refer to Micro-Evolution, we will use that specific terminology to avoid confusing it with Mega Evolution. According to Mega Evolution, everything seen in the universe (stars, planets, solar system, biological life, etc.) is the result of evolution. Starting from primordial (primitive) matter, it all went through a process of self-organization and the result is what we see around today. Macro Evolution is a grand, all encompassing, theory that maintains that everything in this universe is the result of blind chance. This is a philosophical outlook that finds expression in terms of various theories. These theories try to explain the evolution of different aspects of universe. For example, the Big Bang Theory tries to explain the self-formation of the universe. Theories of Biological evolution try to explain the formation of life, and so on. What Is The Meaning Of The Term Creation: CREATION is just the opposite of Mega Evolution. According to the principle of Creation, everything in the universe has a plan and purpose behind it. According to it, the origin and destiny of the world is in the firm control of a Creator. Creation does not negate the chance processes that take place in the world. But it stipulates that the origin and destiny of the universe is not the result of chance processes. Further, when God created Man, He asked humans to subdue the earth. Consequently creationists believe firmly that man should study the world systematically. In fact modern science is the direct result of Protestant Reformation -- as discovered by historians of science. Creationists firmly believe that a systematic investigation of the world yields fruitful results -- and modern science has already demonstrated that. What Is Meant By Scientific Truth: Science is the result of man's quest to understand nature. On the other hand, Technology refers to the use of materials. Science developed only slowly in the ancient world, but technology grew very fast. Thus we see that technology of making mummies, medicines, tools, and buildings was highly advanced in different civilizations, but there was no corresponding growth of science. The present-day explosion of science is hardly five centuries old. Historians of science have discovered that the Protestant Reformation was the factor that gave this impetus to modern science. Modern science bases all its investigations upon the firm foundation of repeatable experiments. Several intermediate steps are also involved and it can all be summarized in the following simplified diagram. Scientists first collect data and analyze them. On the basis of this analysis they propose one or more hypothesis. This hypothesis is checked with further experiments. The hypothesis is modified or rejected in the light of these new observations. Eventually some conclusions start to emerge. These are checked further with the help of more experiments. Possible ways of contradicting the hypotheses and conclusions are devised and checked with the help of more experiments. Observations, hypotheses, and conclusions are made to interact continually with each other till firm conclusions start emerging. These are usually termed as "laws" or "facts" of science. As long as a given information does not emerge as a fact, it remains only a mere hypothesis or theory. Thus scientific knowledge is made up of three categories of information, observations, hypotheses, firm conclusions. Out of these three observations make any sense only when conclusions arise out of them. Thus we are left with two categories ! hypotheses and conclusions. Many kinds of hypotheses are possible. Similarly, many kinds of conclusions are also possible. For example, tentative conclusions, doubtful conclusions, and fully reliable and firm conclusions. For the sake of clarity and ease of use we can put them all into two categories: "theories of science" and "facts of science". All the information in science can be classified as theory or facts. Theories are not firm, nor unchangeable. On the basis of repeated observations theories are either modified or rejected, to be replaced by yet newer theories. The aim of science is to discover facts and laws. Theories are a necessary intermediate stage, and what helps the process is experiments and observations. Experiments and observations are therefore the final testing ground for all theories. Experiments, observations, and facts are the testing ground for scientific truth of any kind. The Theory of Evolution is no exception. It is a theory (as the name itself implies), and it will be vindicated or rejected on the basis of empirical observations. The Theory Of Evolution is a very important subject. You should study it both to clarify your personal doubts as well as to help others who question you. Change within the same category of animals and plants is called Micro Evolution. Wider changes across boundaries -- where one kind of animal or plant changes into an entirely different kind -- are called Macro or Mega Evolution. In this course we are not concerned about Micro Evolution. Our goal is to investigate Mega Evolution. We would like to see whether it is an established facts or only a theory. According to Evolution, everything seen in the universe is the result of blind chance. According to Creation, everything is the result of planned creation. Scientific investigation proceeds through a continuous interaction of observation, hypothesis, and inferences. Two kinds of information develops as a consequence of this interaction: Theories of science and Facts of science. Theories keep changing, but facts do not. Theories represent non established information while facts represent established and confirmed information. We would like to know whether the idea of Mega Evolution is an established fact or only an unconfirmed hypothesis. In the last chapter we saw that science deals with repeatable phenomena. Observations, hypotheses, and inferences (deductions) have to interact repeatedly with each other to arrive at valid and acceptable conclusions. Evolution as a whole unit does not yield itself to this kind of repetitive testing. First, it is said to be a past phenomena. Second, it is said to have taken billions of years to reach the present stage. Nobody has that long a life span to observe it. Creation also is not available for laboratory experiments because it cannot be repeated by humans for observation. Further, no human observer was there to witness the events related to creation of Universe or life. Thus a study of Evolution/creation as whole units one needs a special scientific approach known as "Model Making". We will first explain what model making is. Then we will introduce the evolution and creation models and evaluate them to see which is a better scientific model. Of course there are individual aspects of both evolution as well as creation that can be tested directly and without employing models. For example, fossils can be examined directly and repeatedly for possible evidence of mega Evolution. Also, laws of nature can be examined directly and repeatedly to see whether randomness will produce order out of chaos or behave the other way round. These are highly reliable fields of investigation, and we will do precisely that in the lessons that follow. But before we go to specific subjects, we will look at the models first. What Is The Meaning Of "Scientific Model": Observing a physical entity is necessary for studying it. But many physical entities do not yield themselves to visual observation. Atoms and molecules are good examples of this. While one can see indirect traces of atoms and molecules, nobody has yet been able to see them directly or in satisfactory detail. Further, many non physical realities also exist in the world. They are real, but not made up of physical matter. Consequently, they cannot be seen with the eyes even though they are real. Scientists have found that the best way to study invisible realities is to make a "model" of it. A model is a mental picture that tries to be a good representation of the reality. The most widely publicized model today is probably the model of the atom. Almost every person know that atoms are made up of a heavy nucleus of protons and neutrons, surrounded by fast-moving electrons. Interestingly, nobody has ever seen this "atom" either visually or with the help of photographs or scientific instruments. Rather, what's available is a lot of observations about the atom. All these put together gives the mental picture known as the atomic "model". Of course the atomic model has been translated into mathematics to make it more precise. That brings us to the types of models. Models are of two types: qualitative and quantitative. Qualitative models are descriptive in nature. While they serve usefully in many areas of investigation, they do not yield exact information. On the other hand, quantitative models are mathematical in nature. They yield more exact information. Once a model is formulated, it is used to make predictions. Experiments and observations are repeated to see if these predicated properties are seen. If they are, the model is accepted. If the predictions are not observed, the model is modified. By a constant interaction between observations, predictions and correlating, the model is brought as close to reality as possible. At times the entity or phenomena under study might be so complex or so much influenced by basic outlooks of researchers that more than one model might arise. Each school of thought then tries to perfect its model. All models are then allowed to compete with each other. Whichever model is found to be closer to reality is accepted as the better model. The better the model, the closer it is to reality. Researchers have developed both Evolution as well as Creation models. We will introduce both models in brief to you and then you will be able to decide which of them is a better model. 1-All order seen in universe is the product of randomness and blind chance. 2-Life and living systems developed by the random (unplanned) interaction of matter and energy. 3-Viruses, bacteria, plants and animals have all evolved from a common ancestor. 4-The evolution of one form of life into another takes place through numerous intermediate forms. 1-A tendency for self-organization should be seen in nature, specially where randomness is predominant. 2-The fossil-record should produce millions upon millions of fossils of intermediate creatures. A gradual change should be visible. Many other predictions have been made, but the two predictions mentioned above are the most important. When nature is examined, the hard facts of science go against both of these predictions. Instead of a tendency towards organization, nature demonstrates a tendency towards disorganization and breakup. The more the random forces, the more is the break up. Also, instead of finding millions of expected intermediate life-forms, the fossil record does not yield even a handful of them ! The situation is so bad that many fossil-experts have abandoned the whole idea of intermediate forms. They advocate a new way of classification in which there is no place for intermediate forms. The two major predictions of the Evolution Model turn up to be false. The same is the fate of other predictions also. This means that this model is not an appropriate description of reality. 1-All living and non living bodies have been created by a planner. 2-All basic kinds of life forms are fixed. Changes are restricted within the kinds, and one kind never changes into another. 3-Since basic kinds of living creatures have been fixed by the creator, no intermediate forms will ever be seen. 4-Randomness is the opposite of plan. Therefore, randomness will work against the plan, design, and complexity in nature. The above model has also been examined in great detail, comparing it with nature. The model predicts absence of intermediate forms and also destruction of order by random forces. Intense researches of the twentieth century have confirmed the correctness of both the predictions in great detail. While basic kinds of living creatures show great variation within their own category, no basic kind has ever been observed to change into another. Intermediate fossils have never been discovered. Further, randomness has been demonstrated to be the greatest enemy of order and complexity. Which Model Is Scientifically Better: The model that gives most accurate predictions is considered to be the better one. It is considered to represent the reality most accurately and closely. On this count the creation model turns out to be better than the Evolution model. All the major predictions of the Evolution model go against nature and the laws of science. On the other hand all the major predictions of the creation model agree well with nature and the laws of science. Thus the Creation model is better and closer to reality than the Evolution model. 1-The Science Of Evolution, William D. Stanfield, New York: MacMillan, 1977. This book presents a college level course in the present understanding of evolution. 2-Implications Of Evolution, G.A. Kerkut, New York: Pergamon, 1960. The author is an evolutionist and an authority in paleontology. Yet this book is a condemnation of the Evolution model. 3-Chromosomes, Giant Molecules And Evolution, Bruce Wallace, New York: Norton, 1966. The book presents biochemical defense of the Evolution model. 4-What Is Creation Science, Henry M. Morris and Gary Parker, San Diego: Creation-Life Publishers, 1987 Revised Edition. The best exposition available of the Creation Model. In this chapter we will look at the evolution of Animals and Man. We have purposely kept the presentation in this lesson simple. If you are interested in a more technical study of the subject, you can get that either from our advanced publications on Evolution/Creation, or from the references (books and articles) mentioned in the Bibliographies. The Evolution Of Animals: It has been claimed that all animals seen today have evolved from a common ancestor. If this hypothesis is correct, then the fossils should produce supporting evidence. Evolutionists widely believe that all plant and animal life have developed from the original and common ancestor through gradual changes in numerous generations. Thus one kind of creature, when evolving into another, should give rise to numerous intermediate creatures. And this is the acid test for evolution: if living creatures have evolved one from another, then the fossil record should demonstrate such intermediate creatures. Fossils are the remains of living organisms from the past. This includes the remains of plants, animals and man. These remains include bones, teeth leaves and even complete animals and trees. Most of them, though not all, have already become rock-like . Fossils are formed when animals or plants are buried suddenly. The atoms of this covering material then replace this animal or plant atom-by-atom. Eventually the original creature is gone and a petrified (turned into stone) replica is left. For many investigations this rock-like fossil is as good as the original creature. Not all fossils, however, are petrified. Many tree trunks and other such things are found preserved in coal deposits. Also many creature, specially insects, are found trapped in solidified fluids that oozed out of trees. (A lot of "amber" blocks have been discovered with such trapped creatures). Sometimes even the normal bodies of animals and humans are discovered that have not turned into stone nor decayed. Sometimes these are fully dried out bodies, but at other times (like in the case of Siberian mammoths) these are discovered with bodies almost as intact as when they were living. The mammoths were buried under snow, and their flesh was reportedly still edible (for dogs of the explorers) when they were discovered. Fossils have been found both in isolation (scattered a few here and there) and also in large aggregates. "Fossil graveyards", each containing millions or even billions of fossils have also been discovered all over the world. The billions of fossils discovered so far give a good picture of life in the past. They furnish a visible record of the living world from the tiniest microscopic creature to the biggest and most giant dinosaurs. Since the fossils provide a good, physical, and visible guide to life in the past, they should surely furnish the best evidence for evolution (if it has taken place). If intermediate creatures have existed in the past, the fossil record should produce them. Since different kinds of fully developed creatures have been preserved, their intermediate forms should also be preserved. Further, since there would be numerous intermediate forms between any two well-developed creatures, the fossil record should produce uncountable intermediate creatures. This is more true today than in Darwin's day when the fossil-record was relatively incomplete. Today, with billions of fossils discovered, the record is as complete as anyone might desire. Yet the fossils do not support evolution. Intermediate forms are still missing. Even after a century and a half of frantic hunting, and even after discovering billions of fossils, the evolution-believing scientists were able to claim only a handballs of fossils as intermediates. 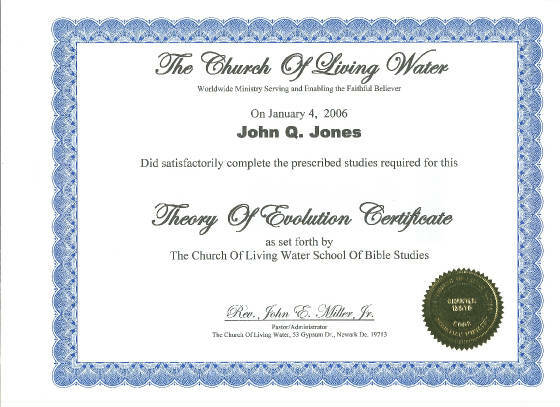 Moreover, recent researches have discredited even these claims- leaving the evolution theory completely helpless. No wonder the secular scientists are publishing articles like "Why Darwinists no longer believe Darwinism". You might immediately wonder, "But my biology textbooks mention many intermediate fossils". That's true, they do mention a few fossils, but these handfuls of fossils are surprisingly few when one considers that they came by combing through billions of fossils. If the theory were true, the number of intermediates should exceed the number of final forms. Even the most generous concessions would bring their numbers only to millions not to a dozen or so ! This insignificant number is terribly shocking but what's more, even these have been exposed to be non-intermediates. Some have even been exposed to be frauds. Take the well-publicized "Horse-evolution series". They used to claim that the evolution of modern day horses is supported by several intermediate fossils. But biologists have recently established that this link is not reliable at all. They have discovered that some of the fossils making up this series do not belong at all to this series. Further, some of the fossils mentioned in this series do not even exist anywhere in the world -- they seem to be just imaginary names added to the chain by ambitious evolutionists ! Fossil experts have shown that there is no fossil-evidence to support horse evolution. Another example is "Archaeopteryx" the famous fossil link between reptiles and birds. Recent studies have shown that most of the "archie" fossils were tampered with to make them look authentic intermediate forms. But they were nothing but cleaver scientific frauds. The scientific community itself has shown that the handfuls of the presumed intermediate fossils are not intermediates at all, some of them have been identified wrongly, others are frauds, and still others are even non existent. Today there is not even a single fossil that is accepted by the scientific community as an undisputed and established intermediate form. Thus, contrary to the impression that many give you, the fossil record does not provide support to the evolution of animals. On the contrary, all animals and plants discovered as fossils are fully formed and developed which lends support to their creation and not evolution. The Evolution Of Man: The evolution of man is a subject of great interest. According to the theory of evolution, man has descended from monkey-like creatures. You might have heard a lot about the "ape-man". The general impression given to people is that an unbroken chain of fossils exists to demonstrate the evolution from monkey-like creatures. But this is an entirely false impression. Fossils do not exist to prove human evolution ! About a century ago many people did think that some of the fossils that they discovered belong to the so-called ape-men, but today the scientific community itself has rejected them. Many have pointed out that the initial enthusiasm (and false belief) was generated by two things. First, there has been a high level of bias to establish every human-like and monkey-like fossil as "ape-man". Second, most fossils were only fragmentary, made up of a few teeth and few other bones. Since almost every discovery produced less than ten per cent of the full skeleton of its owner, wrong labeling and interpretation was common. With time, however, the situation has changed. Today scientists have dozens and even hundreds of complete skeletons belonging to some of them (the Neanderthal and Cro Magnon men). Also, the techniques of investigation, comparison, and analysis of human-like and monkey-like fossils have advanced very much. As a result the scientific community has discovered that none of the skeletons/bones/fragments come from monkey-man intermediates. 1-Fossils of cent per cent monkey-like creatures. (Australopithecus, Ramapithecus). 2-Fossils of cent per cent humans (Neanderthal Man, Cro Magnon man). 4-Fossils that were suppressed because they contradicted the theory of evolution. (Java skulls, Olmo man, Castnedolo man). One beauty of science is it's repetitive investigation. Nothing is beyond re-evaluation. Consequently all the alleged ape-man and monkey-human fossils have been coming under repetitive evaluation. As a result the fossil-experts themselves have concluded now that no fossil ever discovered has ever come from an ape-man. There is no evidence that man has evolved from lower animals. If the hypothesis of evolution is correct, then it must be supported by fossils: billions of intermediate creatures should be discovered. But that has never been the case. All plants, animals, and humans discovered have been found to be fully developed and not intermediates. The evolution-believing scientists were able to produce only a handfuls of alleged intermediate forms. But the scientific community itself has been re-evaluating these fossils. It is their own verdict that none of these alleged fossils furnish plant, animal, or monkey-human intermediates. Some of the highly acclaimed "intermediate" fossils have even been found to be forgeries. Most biology textbooks still speak about intermediate fossils, and this is mainly due to two things. First it is because of the continuing bias towards the theory of evolution. (A lot of people would like to establish this hypothesis as a fact, even without considering proofs). Second, it is because once a hypothesis becomes a dogma then even the best and latest discoveries find it impossible to get into the textbooks. Textbooks have a tendency to remain generations behind the latest discoveries, specially in areas that involve human prejudices. However, you can discover these facts about plant, animal, and human evolution from scientific magazines and researched books. A list of some of these is furnished in this lesson for your information and use. Q U O T A T I O N S !! HERE IS WHAT DARWIN SAID BEFORE HIS BOOK WAS PUBLISHED ...!!! **** "You will be greatly disappointed (by the forthcoming book); it will be grievously too hypothetical. It will very likely be of no other service than collocating some facts; though I myself think I see my way approximately on the origin of the species. But, alas, how frequent, how almost universal it is in an author to persuade himself of the truth of his own dogmas." Charles Darwin, 1858, in a letter to a colleague regarding the concluding chapters of his Origin of Species. As quoted in 'John Lofton's Journal', The Washington Times, 8 February 1984. H.S. Lipson, FRS (Professor of Physics, University of Manchester, UK), `A physicist looks at evolution'. Physics Bulletin, vol. 31,1980, p. 138. So far we told you what we had in our mind, and we are confident that you enjoyed the information given to you. If you can spare a little more time, then we would like you to launch into a little bit of investigation of your own. Personal investigation has several advantages. It brings you in touch with many truths that you did not know so far, but what's more, it also gives you a special assurance about what is true and what is false. To help you get started, we are going to give you a large number of quotations from scientific sources. Remember, none of these scientists is a Creationist. All of them are evolutionists, and also authorities in their fields. Thus their scientific observations must provoke you to think further on these subjects. Along with that, if possible, you should try to acquire one or more of the books listed in the bibliography. Contrary to what many evolutionists, rationalists, and critics of the Bible say, the believers in Creation have nothing to fear. Truth can (and ought to) stand all investigation. IS EVOLUTION AN ESTABLISHED FACT ? Hubert P. Yockey (Army Pulse Radiation Facility, Aberdeen Proving Ground, Maryland, USA), `A calculation of the probability of spontaneous biogenesis by information theory', Journal of Theoretical Biology, vol. 67, 1977,p. 396. HAS ANYONE EVER OBSERVED EVOLUTION ? David B. Kitts, Ph.D. (zoology) (School of Geology and Geophysics, University of Oklahoma, Norman, Oklahoma, USA). `Paleontology and evolutionary theory'. Evolution, vol.28, September 1974,p. 466. IS EVOLUTION A TESTED FACT OF SCIENCE ? Personal letter (written 10 April 1979) from Dr. Colin Patterson, Senior Paleontologist at the British Museum of Natural History in London, to Luther D.Sunderland; as quoted in Darwin's Enigma by Luther D.Sunderland, Master Books, San Diego, USA, 1984,p.89. WHAT DID DARWIN SAY ABOUT AVAILABLE PROOFS ? Charles Darwin, 1859,Introduction to Origin of Species, p.2. Also quoted in `John Lofton's Journal'. The Washington Times, 8 February 1984. WHAT DO SCIENTISTS SAY ABOUT DARWIN ? Dr. Barry Gale (Science Historian, Darwin College, UK) in his book, Evolution Without Evidence. As quoted in ` John Lofton's Journal', The Washington Times, 8 February 1984. What Shall We Say, Then ? Right from the lowest class in school children are indoctrinated with the theory of evolution. There is nothing wrong if a theory is taught as a mere theory. However, it becomes objectionable when it is taught as a fact. Unfortunately, the indoctrination that has been going on for a century has left people wondering about what is truth and what is fantasy. Fortunately, the wide availability of research monographs and scientific journals makes it possible even for the (motivated) layman today to inquite these things for himself. Theory Of Evolution was only a scientific hypothesis when it was proposed. It continues to be ONLY an unproven hypothesis even today. Worse, many of the supposed proofs in favour of this hypothesis have either disappeared or have been discredited in the last three dacades. At the same time, the Creation Model has been gaining more and more scientific support during the same period of time. Bible-believing people have nothing to fear from science. Truth does not fear investigation.